We officially kick off the 2018-19 New Year’s Eve/Day Binge-a-Thon with a movie that I have never seen from the horror/comedy genre that is considered a classic by many. Shaun of the Dead is Edgar Wright’s first part of the Three Flavours Cornetto trilogy featuring Nick Frost and Simon Pegg. I have never been much for this type of movie…or so I thought. Shaun of the Dead was a rip-roaring good time with consistent moments where I laughed out loud. It was fresh, clever and just a hoot. Shaun (Simon Pegg) appears to be quite the loser. His girlfriend (Kate Ashfield) has broken up with him, he constantly fights with his step-dad (Bill Nighy), and his best friend Ed is a slob and a lazy parasite (Nick Frost). Meanwhile, zombies are appearing everywhere and his life goes from trying to get by to trying to survive. I enjoyed this movie tremendously. It was extremely funny and surprisingly emotional. The scenes with Shaun and his Mum (Phyllis McMahon) were unexpectedly touching and poignant, as was his scenes with his step-dad Philip. This is a comedy, but it was made and can be watched as a horror movie. The zombies are not just a joke, they are a distinct danger and had many really anxiety-ridden shots in the film. You feel the panic of the main characters, even if you are laughing at the execution of the story. It blends the two genres beautifully. The relationship between Shaun and Liz was good too and felt real despite the unreal circumstances in which we see it develop. The strains on their relationship started well before the zombies and fit right into character traits of the two characters. I was not a fan of At the World’s End, which is the third film in the Cornetto trilogy. 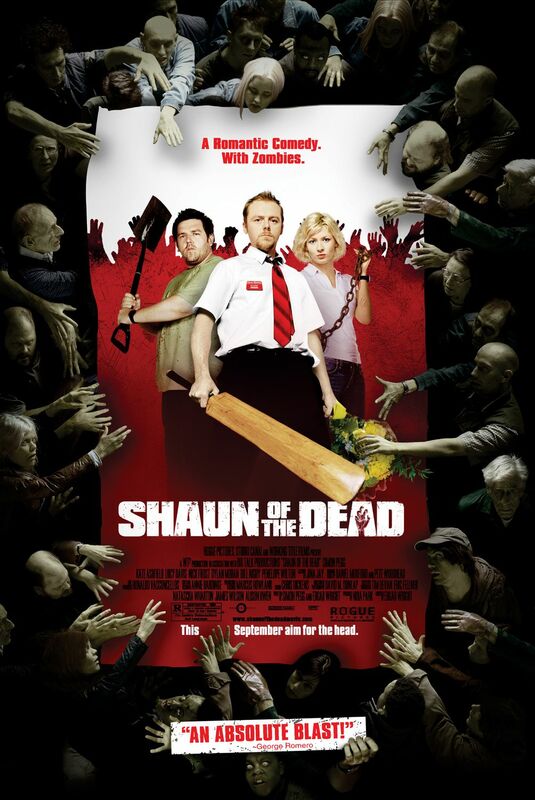 but the first film is wonderful and I am a big fan of Shaun of the Dead. I liked it way more than I thought I would and I see why so many people consider it a classic.